This text is a translation of the original report in Swedish. The points to report have been taken from the Swedish Agency for Radio and TV, their site on Rules for SVT, SR och UR. Basically my report looked just like this, but I have changed the web-addresses to hyperlinks, as well as added some. A copy of the report will be sent to the e-mail address you provided. Program: The Swedish news program "Rapport"
"Program leaders, reporters and others who may be perceived as representing the program company must not make judging statements, or take sides in controversial issues." 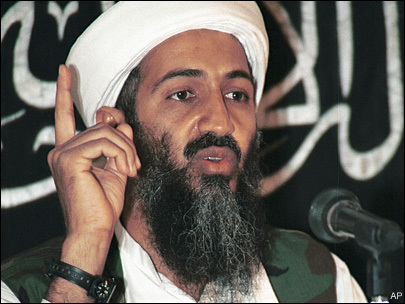 In this feature it was said time after time, by both interviewers and interviewees, that Osama bin Laden was behind the 9/11 attack on the WTC in 2001. This fact is disputed and has not been proven in a valid trial; thus is highly controversial (see for eg. Michael Ruppert's lecture The Truth and Lies of 911, Dylan Avery's film Loose Change or this short film clip: 9/11 Truth Search: Planes didn't take twin towers down). "Controversial issues or occurrences may not be treated one-sidedly, so that the version or viewpoints of only one side clearly dominate." In this case it was clearly the official American standpoint that dominated, even stood completely unquestioned. "If a clearly defined party is subjected to strong criticism or severe accusations, he or she should as a rule be allowed to defend themselves in the same program." In this case of course the defined and accused party was dead, but it would have been easy to find old recordings and news articles where Osama defends himself against the accusations about the 9/11 attack (eg. the article CNN: Bin Laden says he wasn't behind attacks or the 1 min episodes NBC: Bin Laden & Taliban Deny 9/11 Involvement, Taliban Diplomat Condemns Attacks 1/2 and 2/2). Otherwise one could probably have found some living person who could have defended Osama, for example those quoted in the youtube film clips above. "Features must not be misleading, for example by leaving out important pieces of information." Thus the feature was strongly misleading.